You do need the internet connection to end the rental. We understand that you might not always be connected to the Internet, especially when you are travelling. That's why we have a solution for you. 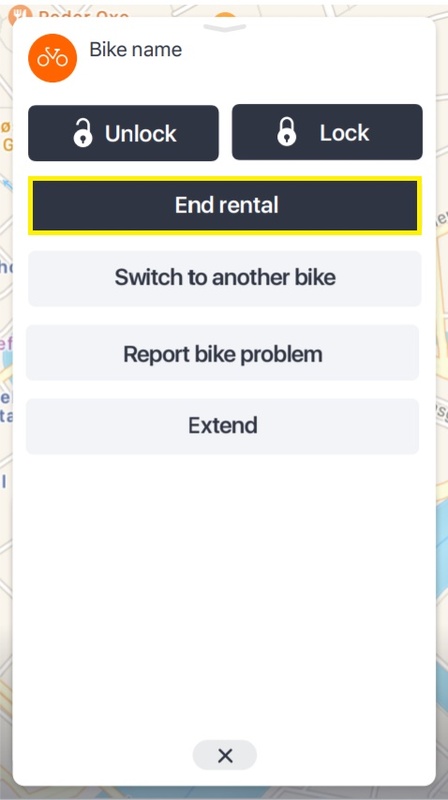 To end the rental without the bike please go to your rentals in the app. Select the bike you would like to return and tap on Return and End rental. The app will detect that you are not with the bike and ask you to pin the bike's location. Then you will be able to see a map, where you need to choose the location. Please note, that you need to move the map to choose the location. After you have chosen the bike's location, the app will try to connect to the bike and then it will give you an option of ending the rental anyway. Once you have done that we will confirm the bike's location and if we have any questions regarding the bike's location, we will reach out to you. Should the bike be not in an available Donkey Republic drop-off location you will be charged a 10 EUR relocation fee. Please always make sure that the bike is locked. Please note, that you should do the following within the rental period. What is Bike relocation fee?